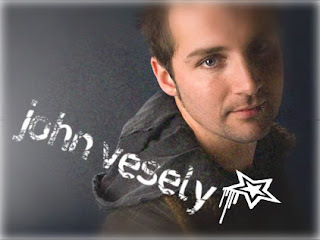 John Joseph Vesely is from Menlo Park California. 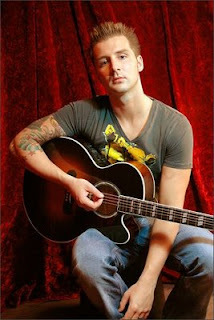 He is the lead singer of the band Secondhand Serenade. Vesely says that his songs are meant to be serenaded to his wife, Breanna Russell, the audience are only hearing it second hand ergo the name, Secondhand Serenade. In 2005, Vesely released his debut album, Awake. He sold the album using iTunes and MySpace. Glassnote Records took notice of the talented singer and signed him in re-releasing it in 2007. The following year, Secondhand Serenade issued his follow-up album, A Twist in My Story. Wow. I stumbled upon Secondhand Serenade about 2 or so years ago. I ran right out and bought their whole CD. Now I have both. They have an upcoming CD to be released around September or so. You may have seen some of his music videos on MTV and his songs on the top 40. The band rocks. If you haven't heard them, go listen now!!!!! His songs are awessome, the lyrics, his voice. Whoa baby!!! Other than that, this guy is hot. From his lip ring to his tattoo on his arm. Go google the tattoo, it is beautiful. He is gorgeous and he deserves to be my boyfriend of the week (even if he is married). HAHA! haha oh i love that song! !